Flight Instruction | Classic Aviation, Inc.
Our FAA certified Flight Instructors are available to provide instruction from private to advanced pilot training with the flexibility of FAR § 61 Training. Our experienced flight instructors hold themselves to the highest professional standards. Our chief flight instructor, Shane Vande Voort, became a certified pilot examiner for the Des Moines Area FSDO in November 2008. You can now do your all training and take your checkride in Pella. Shane also renewed his accreditation from the National Association of Flight Instructors as a Master CFI in December 2016. For more information about this designation see www.MasterInstructors.org or click on the Master Instruction icon to read a press release. We have a Cessna 172, a Cessna 177RG, a Piper J-3 Cub, an American Champion Citabria, a Beech Duchess, and a Cirrus® SR20 GTS available for your flight training needs. 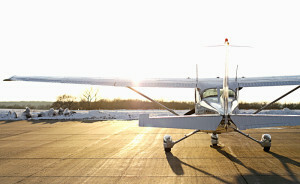 See our aircraft rental page for complete aircraft rental pricing and information.